Great book for boys - 10yo loved it. 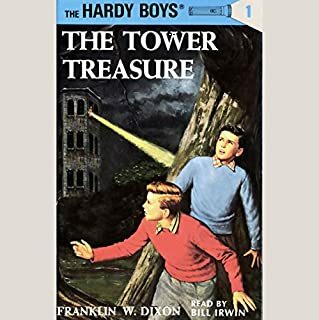 If you could sum up The Tower Treasure in three words, what would they be? What was one of the most memorable moments of The Tower Treasure? When they found the treasure. I laughed loads - because it is an awesom book. This book is good for everyone but I think boys will like it best. The day her children leave home, Eva climbs into bed and stays there. She's had enough - of her kids' carelessness, her husband's thoughtlessness and of the world's general indifference. Brian can't believe his wife is doing this. Who is going to make dinner? But Eva won't budge; and soon she realises to her horror that everyone has been taking her for granted - including herself. 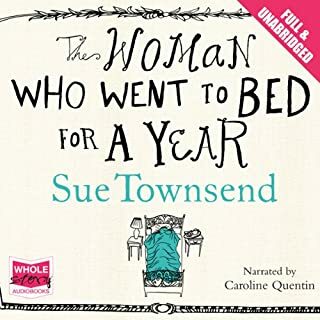 If you could sum up The Woman Who Went to Bed for a Year in three words, what would they be? Entertaining, thought provoking and interesting. The ending was the only downfall for me - it just seemed to fade out without a concrete ending. What about Caroline Quentin’s performance did you like? She has a great voice for audio books and a nice subtle variation of voice for the different characters.